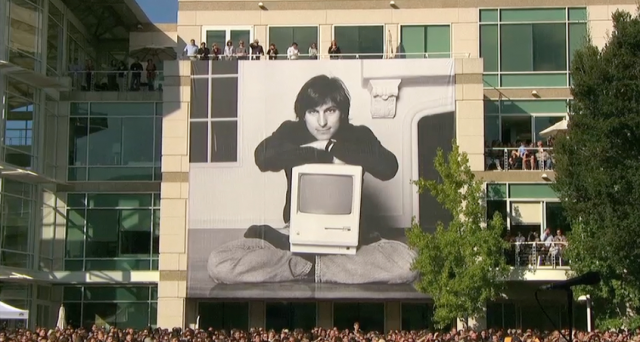 Last Wednesday, Apple held a company-wide memorial for its late co-founder, Steve Jobs, at which CEO Tim Cook; former U.S. Vice President and Apple board member Al Gore; and Jonny Ive, Apple’s head of design, all spoke. It was a moving celebration, I’m told, and today the company decided to share it with the world, posting a video recording of the event to the Apple.com Web site. Certainly worth a watch for anyone interested in Jobs, his legacy and his breadth of vision, so eloquently described by Ive in his memorial speech. Note: The video requires Safari 4 or 5 on Mac OS X, Safari on iOS 3 or later, or QuickTime 7 on Windows.